I have decided to put in a larger nature pond next to the little pond that has been essentially taken over by plants. The pond will be about 4.5m x 3m (I have a 4 x 5 liner) and will be fairly shallow to promote natural life – at one end will be a 40-50cm deep bit to allow any swimming wildlife to escape the freezing winter. In the picture I have just started to take up the tur – its hard work!!! 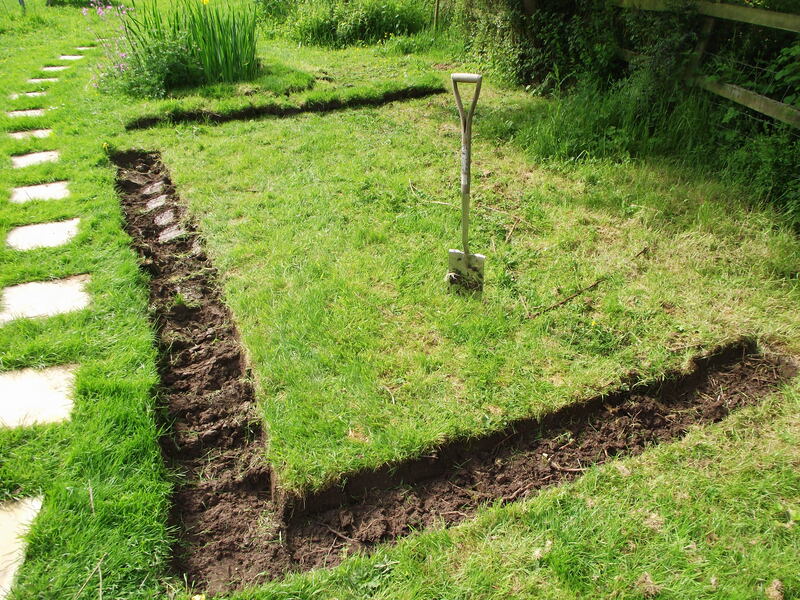 Hoping to get this dug this week – and lined, filled and finished next week. After putting in some oxygenating weed and a few plants, I will basically see how it naturalises. Build it and they will come.